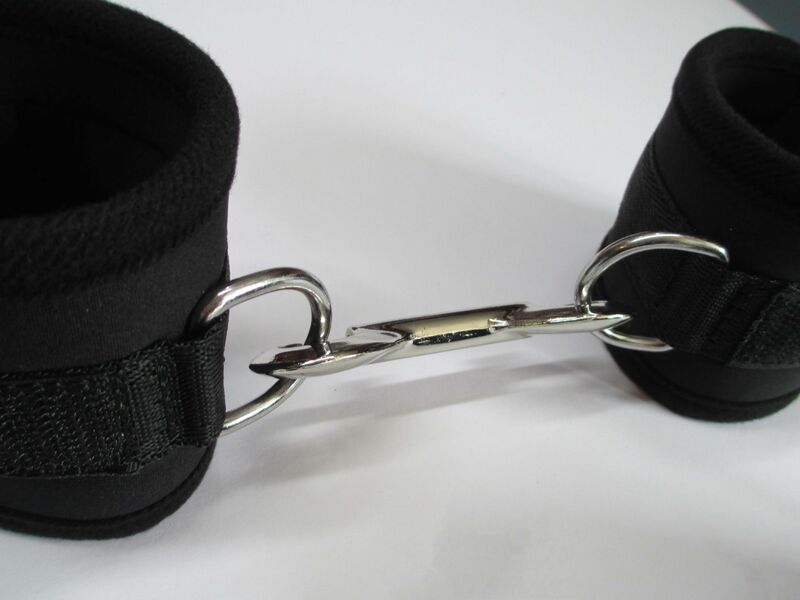 1 Pair Black Wrist Restraint Cuffs and 1 Pair Black Ankle Restraint Cuffs = Made from Neoprene and black synthetic material covered/piping edged, stitched throughout, with hook and eye fasten tape incorporating a 20mm Dee ring in each cuff. 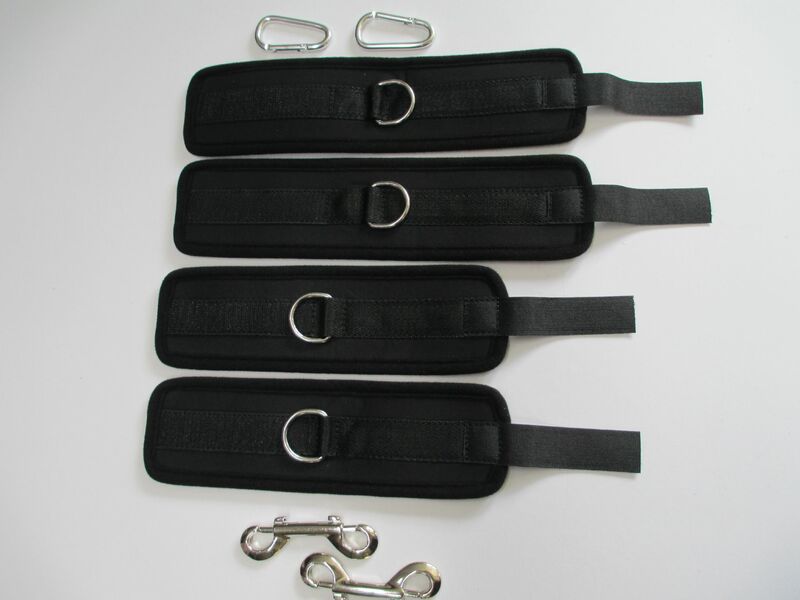 Not metal parts are on the reverse of these restraints. 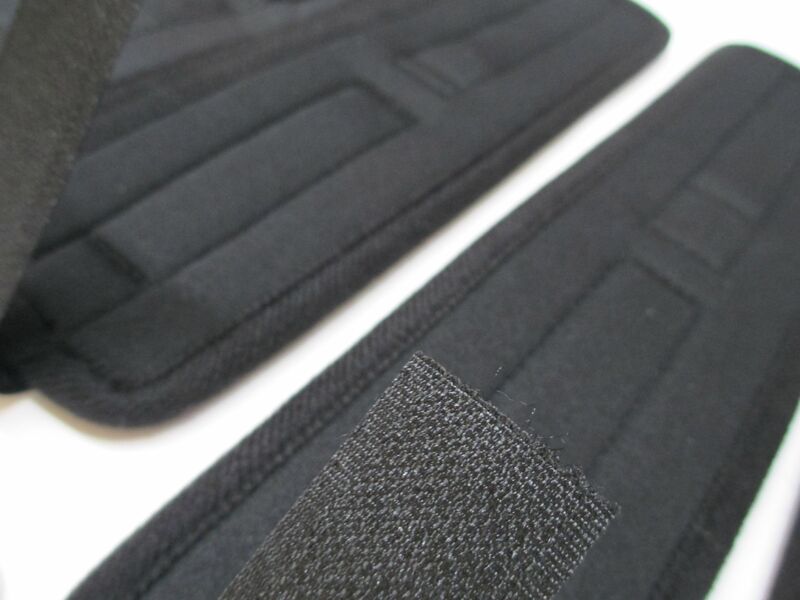 They are lightweight but durable and tough, and quick to put on and release. 2 Trigger Hooks = I large and 1 small double ended quick release trigger hooks. Sizing is Universal and covers most Wrist and Ankle sizing. We Ship WORLDWIDE and only ever use discreet plain unbranded packaging, with just our zip code not our business name on the exterior of parcels as required by our shipping agent. All items are Tracked and Signed for security purposes via Royal Mail 1st Class, so you will need to sign for the package on delivery. 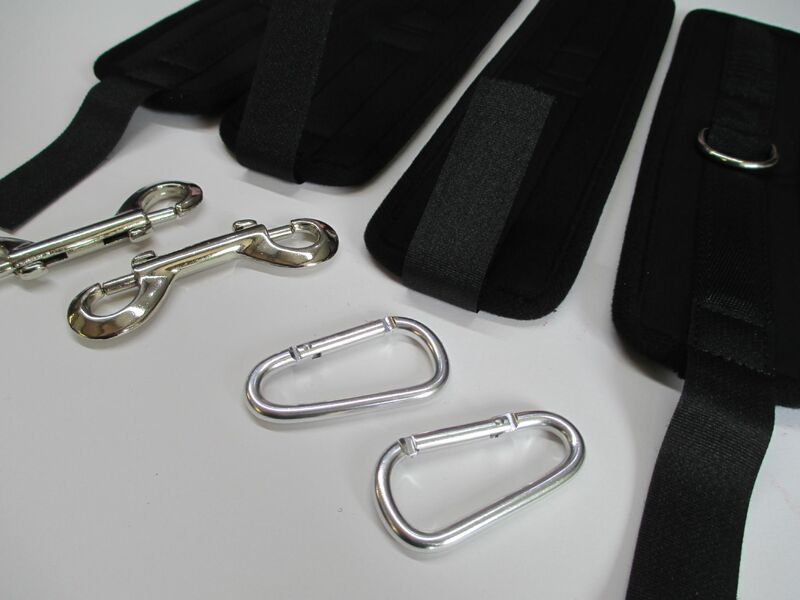 We do not accept returns on Sale, Custom Made, Bespoke, Insertables, Gags or Personal Items.